At Thatcher’s Tree Service Gainesville FL, we care about one thing: providing our customers with safe, quality service at a reasonable price. From brush removal to stump grinding to tree trimming, we offer a wide range of services to meet your and your landscape’s unique needs. We are passionate about what we do and we will accept nothing less than your 100% satisfaction. You can rely on us to care for your trees with the same detail and attention we give to our own. Allow us to be your go-to for tree services in Gainesville and give us a call today! Safety is at the forefront of everything we do, at Thatcher’s Tree, which is why we use only the best equipment and employ only the most dedicated staff. All of our tree service equipment is state of the art and has been regularly serviced and maintained, allowing us to perform dangerous jobs safely and efficiently. Our heaviest equipment, which is used for the more difficult, larger-scale services, has the potential to negatively impact the surrounding landscape. If this is not a risk you are willing to take, we completely understand and will be more than happy to perform your services using climbing gear only. As the team for tree services Gainesville FL depends on, your safety and satisfaction are our top priority. Our tree services can be performed on any kind of property - from the small backyard of a condo to a 50 acre farm, our experienced professionals will get it done. As additional protection for our valued customers, every member of our team is licensed, bonded, and insured and receives workers’ compensation coverage and benefits. You can rest assured that, as our loyal customer, you are not liable in the case of an accident. 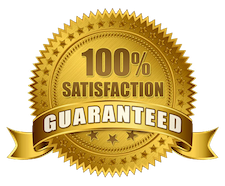 Further, due to our 100% satisfaction guarantee on all of our services, there is no risk to you - we aren’t finished until you are pleased with our work. Below are 8 reasons to call Thatcher's. Compare us to the competition in the area to know why our tree service company is the top choice for both residential and commercial clients in the Gainesville FL area. At Thatcher’s Tree Service Gainesville FL, every one of our employees is licensed, bonded, and insured because we choose to protect our customers and our staff. Our team is also provided with workers’ compensation. Accidents happen and when they do, you will be free of any and all financial liability. We know that you work hard for your money so we do all that we can to give you the best prices for our quality services. Your satisfaction is of the utmost importance to us - you will never be disappointed with our prices or our work. Our team is proud to offer a wide variety of services, from tree trimming to brush removal and everything in between. We pay attention to every last detail and choose to go above and beyond for our loyal customers. We don’t stop working until we have your complete satisfaction and we will always leave your landscape looking more beautiful than we found it. Thatcher’s Tree Service is proud to be a part of the Gainesville community. We are a small, locally owned and locally managed business so you will never have to deal with an out-of-town call center. Give us a call today and speak to a fellow Gainesville local about your trees. We service all of Gainesville and the greater Alachua county area. See our service locations here. It’s true - professionalism is a part of who we are at Thatcher’s. In any business interaction, our team relies on effective communication, complete trustworthiness, solid workmanship, and undeniable reliability to get the job done. When it comes to tree services, safety is key, which is why we use only the best equipment and employ only the most qualified professionals. All of our equipment is diligently maintained and regularly serviced and our tree experts are trained and certified. Our top notch equipment allows for us to tackle any magnitude of tree service quickly and efficiently, while keeping our customers and our team safe. We choose to provide our employees with the best tools for the job so that you can rest assured it will be done right the first time. Similarly, our staff is equipped with the knowledge and experience it takes to carefully and effectively care for your trees and landscape. We provide all of our customers with same day estimates because we know that tree services can be an unexpected expense. We want to make the process as stress-free and enjoyable as possible and that means no surprise costs. How Much Are Tree Services? The most come question we get from prospective clients is how much does tree services cost. Tree trimming, tree removal, and stump grinding pricing are variable based on the details of the jobs. Below we detail these variables and additional factors, which drive tree service costs. The cost of tree removal services depends on three factors: the tree’s location, size, and species. The location of the tree is key because it helps to determine how difficult the job will be, in terms of time and resources required. For example, if the tree is leaned against your house or another structure, it will require more resources to remove. Further, the location of a tree can make the job more dangerous and the more dangerous a job, the more it costs to perform. How tall and wide a tree is plays a role in cost because a larger tree requires more work, time, and resources to remove. A small tree will be less costly to remove, as it may only require a team of 2 or 3 men and can be completed in a short amount of time. The tree’s species is important because, depending on the kind of tree, it will be a softer or harder wood. A hardwood will be more difficult to remove and will require more resources. Four factors play a role in the cost of tree trimming services: the location of the tree, its size, its species, and the degree of trimming necessary. Like with tree removals, the cost of a tree trimming will depend on the location of the tree. A freestanding tree that is not tangled in power lines or making contact with a building will cost less to trim. A larger, taller tree requires many more resources to trim, as it has more branches and involves more climbing. Also, taller trees come with greater risk and, therefore, are most costly to service. The species of the tree contributes to trimming cost, in that some species of trees are awkwardly shaped or naturally have more limbs or larger branches. The larger, more full a tree is, the longer it may take to trim and the more resources it will require. The amount of trimming that needs to be done will help determine the cost, as well. If your tree only needs a single branch removed, the cost will be less than that for a tree that needs to be extensively groomed. To determine the cost of a stump grinding or removal service, you should consider five factors: whether it needs grinding or removal, as well as the stump’s location, species, size, and age. In order to eliminate a tree stump, our team will either grind it or remove it, according to your preference. Grinding the stump is the most popular choice between home and business owners, as it is more economical and less complicated. Removal, on the other hand, requires removing all of the stump until only a large hole is left, which then needs to be filled. Removal is the most expensive route. The location of the stump helps to determine the cost of service, as one that is easy to get to will be less costly to grind or remove. The species of the tree from which the stump originated is also indicative of cost because a hardwood will be more time consuming and will require more resources to remove or grind. The size of the stump is key because a larger stump will take longer to eliminate and use more resources, thus making it a costlier service. The age of a stump plays a role, as well, as an older stump will be larger and involve a more intricate root system, making the removal more expensive to perform. Four questions can help you determine whether your tree needs to be removed or simply needs a good trimming. If your tree has become more than a nuisance and is potentially dangerous for you and your guests, it may need to be removed. However, if it is simply an eyesore, which could be fixed with a good trim, you will want to first explore that option. Is the tree dying or have a significant amount of dead branches? If your tree is clearly dying, dead, or has more dead limbs than live ones, it may be beyond repair. However, if it is visibly healthy with only a few bad branches, a professional trimming service may be able to return it to its former glory. Is the tree causing any issues or problems? Is your tree overhanging the roof of your home or leaning into the side of it, threatening a window? If so, removal may be the best way to go. That being said, if the tree is simply overgrown and is not threatening your home or preventing you from enjoying your outdoor spaces, trimming will likely do the trick. It the tree adding value to your landscape? If your tree is the beautiful centerpiece to yard and you wouldn’t recognize your home without it, removal is certainly a last resort. On the other hand, if your tree is severely damaged or dead and makes your yard look like the set of a spooky movie, removal may be the best option. A tree can make or break a piece of property so you must determine whether the tree is adding to or taking away from your property values. We are pleased to provide the full-range of tree care services for our commercial and residential clients. From tree trimming to emergency tree services, Thatcher's provides total tree care. For the average home and business owner, the process of removing a tree can be overwhelming at best. When one of your trees has been severely damaged by a storm or is rotting from the inside out and has become a major eyesore and source of anxiety for you, it may be clear that it needs to go. However, actually removing it is not something you should attempt to do on your own, as only an experienced and trained professional is qualified to do so safely. Often times, you may not be able to tell whether or not your tree needs to be removed, in which case we will gladly perform a free assessment and give you our expert recommendation. We will then provide you with a solid quote for the recommended services and set a day and time to come back and care for your trees. The quote will always be full service, including felling the tree, cutting and stacking the wood, as well as hauling off any unwanted wood and a complete cleaning of the work area and surrounding landscape. For tree removal services, our team utilizes our heavy equipment, built specifically to perform even the toughest jobs safely and efficiently. With this heavy equipment, however, comes the potential of minor to moderate damage to your landscape. If this is something you are not comfortable with, let us know and we will absolutely accommodate. Our tree experts are more than capable of completing any tree removal service using only climbing gear, as a way to avoid any negative impact on the surrounding land. * #1 Tree Service 10 Years in a Row! One of the best ways to care for your trees is to have them trimmed on a regular basis. Doing so allows for your trees to grow and thrive, as any dead or dying portions will be cut away, leaving only green leaves and healthy branches. Regular trimming also prevents your trees from overshadowing your landscape and hindering the growth of your other plants. While trimming a tree may seem pretty straightforward, it is a science and one which, when performed incorrectly, can do more harm than good. In fact, more trees die every year from unprofessional trimming than from natural causes, such as disease and lightning storms. Only an experienced tree professional knows where, when, and how to make cuts to your trees. Like every living thing, a tree is a unique individual and must be treated as such, especially when it comes to trimming. Every single cut makes a difference and can mean life or death for your tree. At Thatcher’s Tree Service, our licensed and trained arborists promise to handle your trees as we would handle our own and improve the beauty of not only your trees, but your landscape as a whole. Allow the tree service Gainesville trusts to trim your trees and restore them to their natural, stunning state. As with our tree removal services, one of our tree experts will come to your home and asses your trees, make professional recommendations, and give you a quote for the cost of the recommended services. We will then set a time for our team to come back out and perform your tree trimming. Our heavy duty trimming equipment is specially designed to handle the largest trimming jobs safely and efficiently but even the best tools come with a risk. If you are not comfortable with the potential for damage to your landscape, please let us know and we will be glad to trim your trees using only climbing gear. Most home and business owners have preferences, when it comes to the aesthetic of their landscape. During the assessment or trimming service process, we welcome your input, as your complete satisfaction is important to us. Please note, however, that we will suggest alternative solutions if we feel that your suggestions will result in overcutting or general harm to your trees. We are proud to be the team for tree services Gainesville FL trusts - give us a call today! Do you have ugly, dead tree stumps scattered around your property? Let us get rid of them for you. Not only are tree stumps an unattractive addition to your landscape, they can become trip hazards, as well as shelters and breeding grounds for pests. Call Thatcher’s Tree Service and allow us to eliminate your tree stumps so that you can take back control of your yard. Using our top-of-the-line stump grinding equipment, our team of professionals will remove any stump safely and with zero risk to your landscape. Don’t take matters into your own hands, as stump removal is a dirty and dangerous job - sit back, relax, and let us beautify your landscape today. In the case of storm damage to your trees, we are here for you 24/7. Strong winds, torrential rain, and lightning can wreak havoc on your trees and your landscape, which can then cause damage to your home. Unexpected tree damage can mean a dangerous situation for you and your loved ones but you can count on us to be there when it matters. Call us, the team for tree service Gainesville FL counts on, and we will respond quickly to restore your landscape so that you and your family can get back to life as usual. ​At Thatcher’s Tree Service, our team is equipped to clear any size property of unwanted brush and natural debris. Whether you have many acres or a backyard in the city, we will rid it of brush so that you can utilize and enjoy your outdoor space. We are proud to offer an environmentally friendly way to repurpose your brush - let us transform it into multipurpose wood chips which you can then use as firewood, mulch, and more. If your yard has turned into a graveyard for tree limbs and leaves, give us a call today and take back your property.